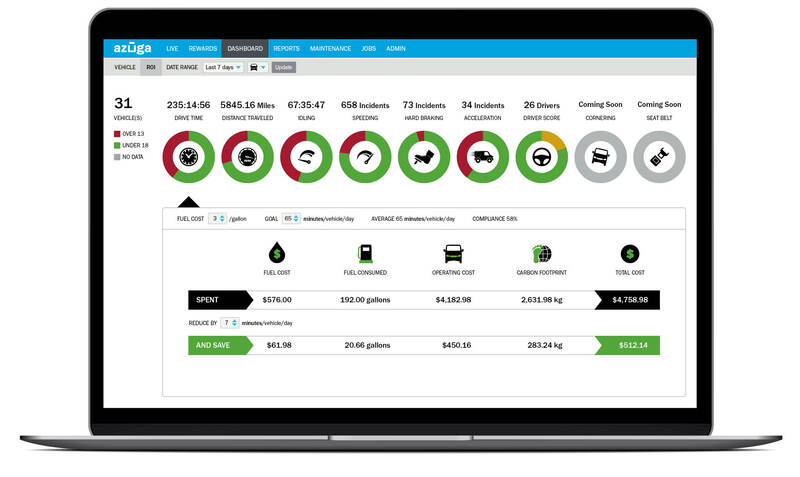 See how Azuga Fleet benefits your bottom line. 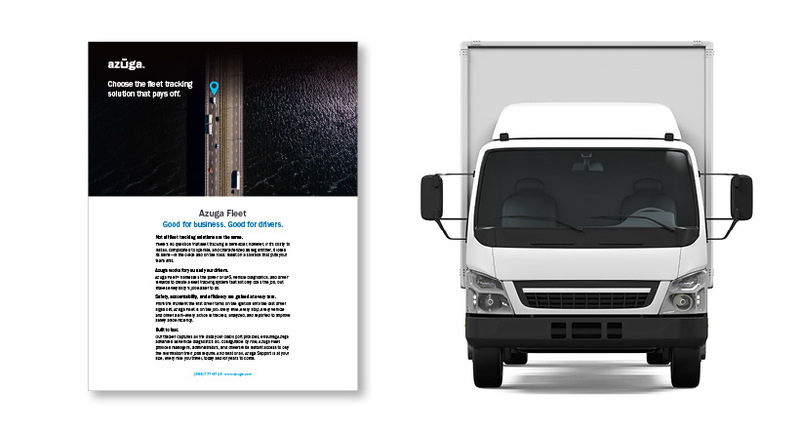 Azuga Fleet simplifies GPS fleet tracking for small business. Choose the GPS fleet tracking system that's good for drivers and great for business. 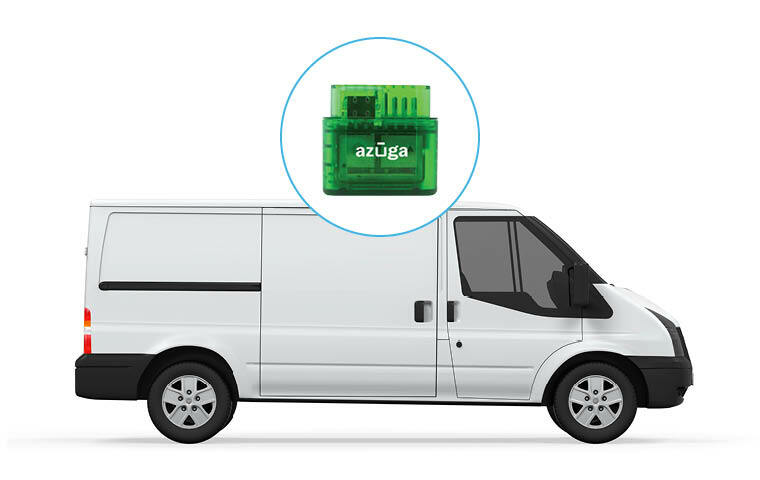 Easy to deploy and use, Azuga Fleet™ brings the power of GPS tracking, vehicle diagnostics, and driver rewards to small- and medium-size fleets. Whether team members are on the road or in the office, Fleet makes everybody’s job easier to do. Make your company more profitable. Take advantage of information—such as speeding, hard breaking, cell phone distractions, and service warnings—to keep both drivers and vehicles performing at their best. Keep tabs on your fleet. Use the live map view to see where your fleet is at all times. Job, driver, speed, location, and weather information is available instantly. Schedule calls, assign team members, and send automated dispatch notifications. Check status, duration, drive time, and miles traveled for every call. 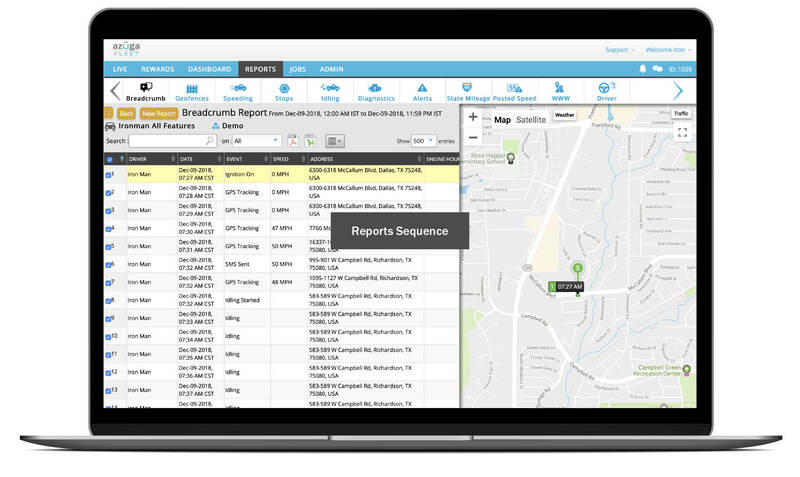 Leverage the valuable information— captured every time your fleet is dispatched—to maximize effciency, reduce operating costs, and reward top drivers. Get the most out of every vehicle. Receive vehicle alerts instantly, enabling your service team to perform maintenance work before a costly repair is needed. 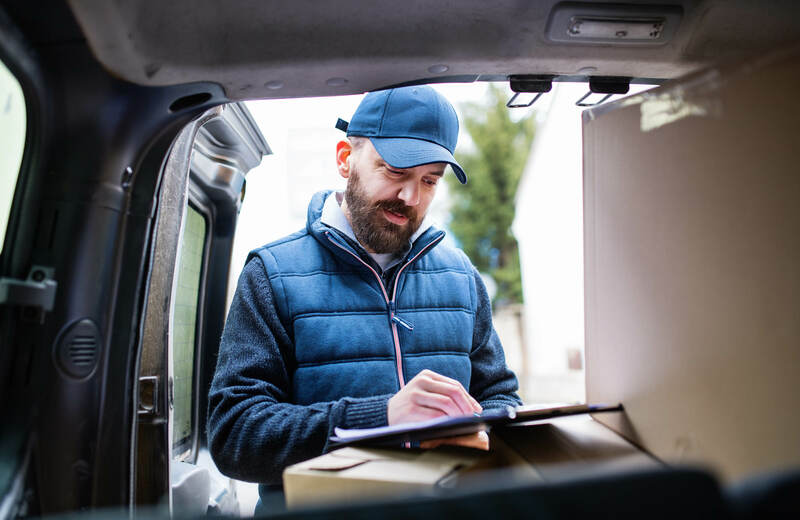 Gain a deeper understanding of vehicle usage, operating costs, and driver performance with reports that help you optimize fleet operations. Need custom reports? We provide them free of charge. Make the job more rewarding. We chose Azuga because its solution was easiest to use, install, and implement, helping us to become more efficient, increasing productivity and safety among our drivers. We’re really happy we made the switch. Capture the data you need. Get the reports you want. View each vehicle’s movement and events, point by point. See which vehicles exceeded the speed limit as specified in your Speeding Alert settings. Learn when and where stops were made, and if stops were made near a known landmark. See how long a vehicle idled, where it idled, and if it idled near a known landmark. See the number of Diagnostic Trouble Codes (DTC) reported by vehicle; drill down to view more detail about the code(s). View fleet-wide alerts in one place, eliminating the need to sift through emails to find alerts. See how many miles a vehicle has been driven by state. Based on posted speed limits, see when and where drivers were speeding. 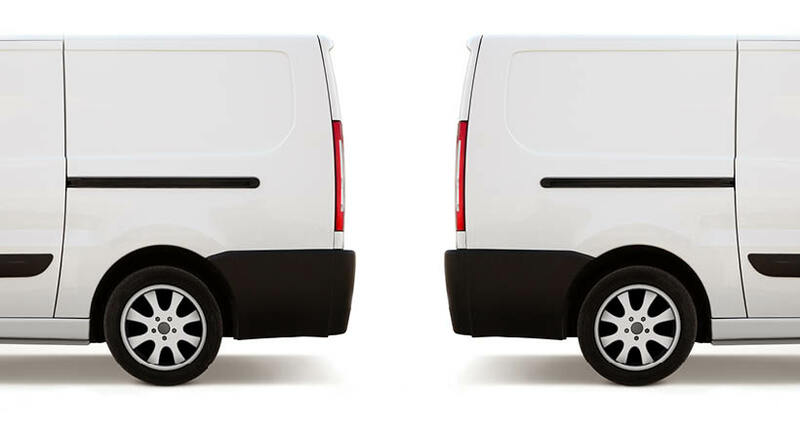 Find out where a vehicle was on a specific date or which vehicles were at a specific address. View vehicle-to-driver associations, including miles driven by each driver on each vehicle. 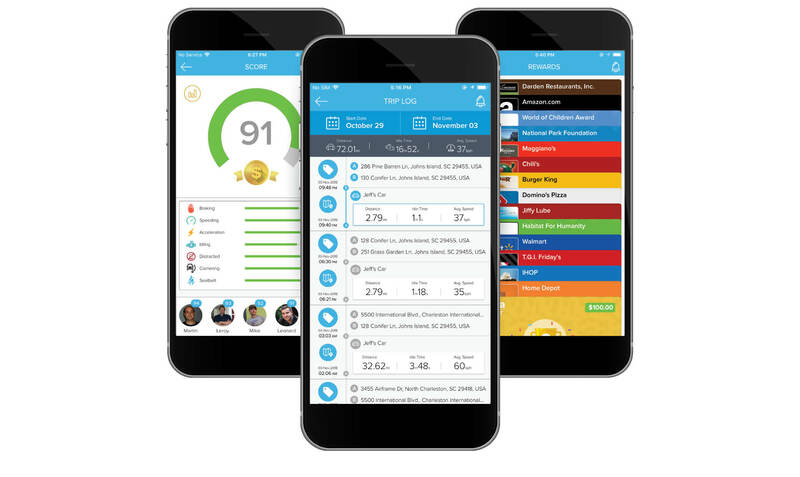 View drivers’ scores based on individual performance and relative to other drivers. Use this report to push rewards to drivers. View shift and payroll information provided by drivers via the Azuga FleetMobile app. Shift reports can be exported for further processing. Schedule reports to run and send automatically. Team members receive reports, via email, with PDF or Excel files attached. Need custom reports? No problem. We'll set them up for you whenever you need them. 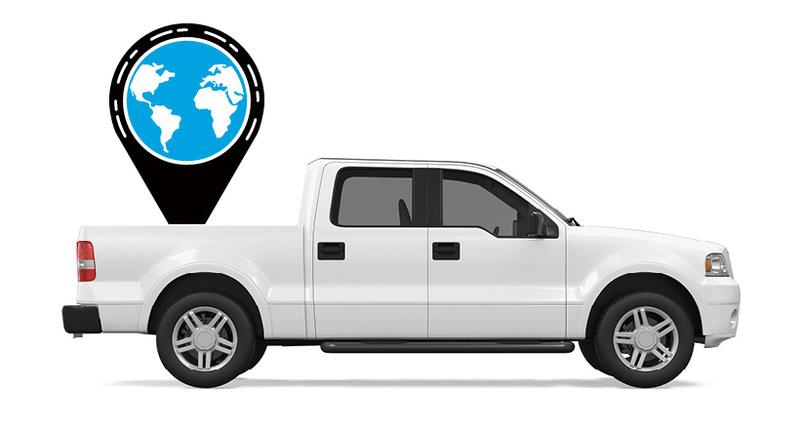 Learn more about fleet GPS tracking.